Recently Carniverous Boyfriend and I have become slightly addicted to Travel Channel’s Man vs. Food. For those of you without Sky, or of a less carniverous persuasion, this show sees self-styled food fanatic and inveterate eater Adam Richman travel round America’s ‘greatest pig-out spots’, meeting chefs and participating in local eating challenges along the way. It’s a button-busting, drool-inducing, sometimes sublime and always ridiculous programme, and while the food challenges would most likely leave you comatose, the places he visits at the beginning of each episode never fail to get the tastebuds turning. From slabs of steak and juicy crab claws to ooey-gooey cheese, slow-cooked BBQ cuts and crispy fried chicken, this is American excess at its very best. 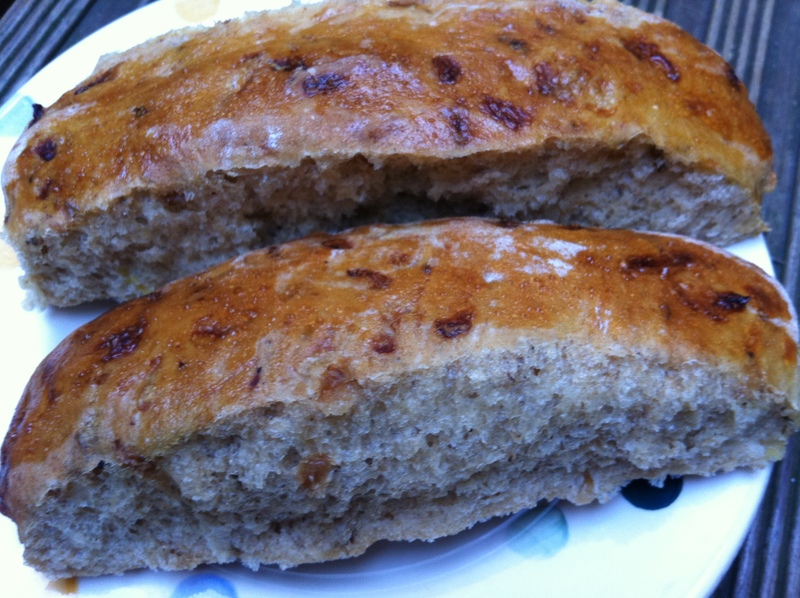 This weekend I realized I’ve only actually posted two bread recipes (malty wholemeal and focaccia) since I first started this blog. 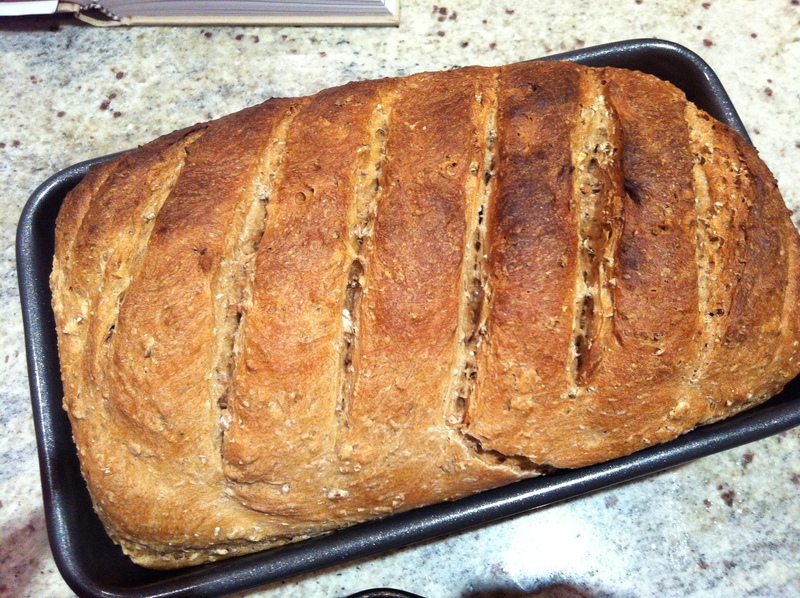 I generally bake a batch of bread every Sunday to last throughout the week, and have been doing so since my last bread post, but as I tend to stick to very minor variations on a basic wholemeal loaf, I didn’t really think any further recipes worth posting. Poor excuse. And no two ways about it; I’ve been neglecting my duties as resident littleloaf. Sandwiched half way between The River Cafe in one direction and The Harwood Arms in another, we’re spoilt for choice when it comes to delicious food on our doorstep. 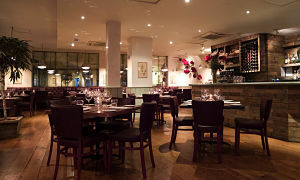 If you’re in the mood for something a little lower key (and less budget busting), you can also find numerous bistros, pizzerias and smart gastropubs in and around the Fulham Road, packed with locals throughout the week and showing little sign of being affected by the recession. To celebrate my Mum’s birthday, we headed down there on a quiet weekday evening. Arriving earlier than expected, we needn’t have worried about reserving a table as the restaurant was only about a quarter full at 8.15pm. Candles twinkled invitingly from a row of cosy looking leather banquettes in the window, but as a three (my Dad’s away tasting wine in Bordeaux under the pretext of work . . .) we opted against these in favour of a central table with plenty of elbow space. From there we had the chance to survey all of Manson’s rustic charm – burnished mirrors running across the whole back wall, moody low lighting and a gorgeous wooden bar where fresh green apples, oranges and loaves of bread nestle in their own compartments. After we’d ordered a bottle of something cold, crisp and fairly priced, our waitress brought over a basket of bread. I’ve been thinking about what I should include in my restaurant reviews since writing up Dean Street Townhouse and Trullo, and decided that, as the littleloaf, it would be rude not to include a round up of the bread, something often dismissed or ignored by other reviewers. 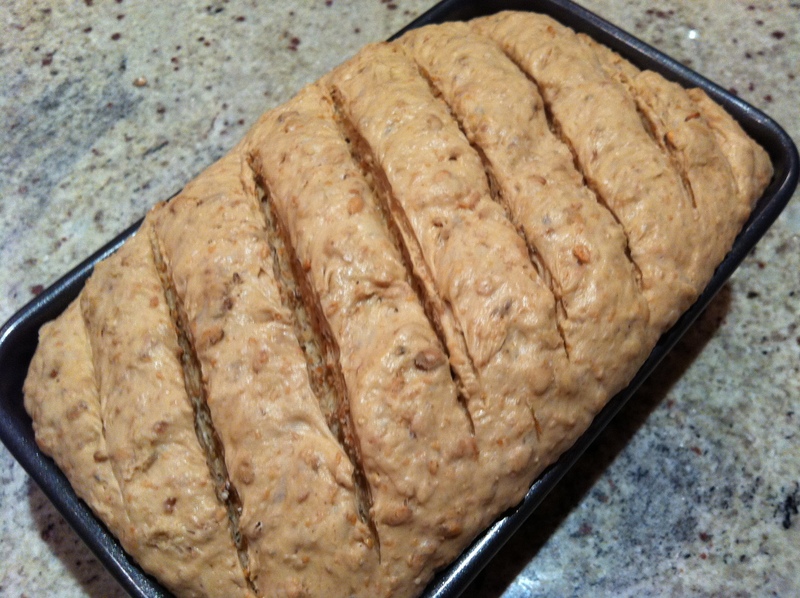 Manson’s offering was a mixture of freshly cut crusty wholemeal and cubes of focaccia. 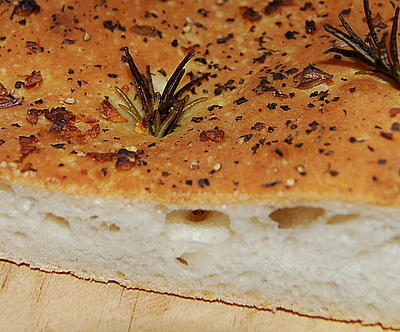 I don’t imagine it had been made in-house, and the focaccia lacked that light crumb and slight salty ooze of grease you get with a freshly baked batch, but both options were perfectly good, and arrived with a smooth pat of salty butter. It got me thinking, maybe the bread basket is a good sign of where you’re going with a restaurant’s food, because moving onto the actual dishes it was a similar story – tasty, considered ingredients cooked well, but lacking in that extra special element which takes a meal from the background of an evening to the main event. Having said that, my starter of grilled squid with potato, purple sprouting broccoli, garlic and chilli was very impressive – curls of charred creamy tentacles contrasting with the richness of the greens and brought to life with a spicy kick. It looked and tasted spot on. My Mum agreed that the squid was a good dish, and Carniverous Boyfriend’s (CB) snails on toast disappeared from the plate pretty quickly. As did his rare rib-eye and chips. Served with chips on a bed of roasted carrots it was juicy and well-cooked – the quality of ingredients shining through simple cooking. My Mum’s sole with spinach and mussels was nicely presented with good clean flavours, although I think I’ve seen a similar dish on half a dozen menus in as many months. My tiger prawns were probably the biggest disappointment, and this isn’t a huge complaint; just a minor gripe when Manson have proved they have the potential to make good dishes great. They were nicely done, with sweet chargrilled flesh, but my plate contained just four slightly sad specimens, heads removed, but bizarrely left on the plate as a kind of macabre decoration. Possibly an attempt to justify the £20 price tag. Dessert was a winner. CB and I looked no further than a pair of chocolate brownies with salted caramel ice cream and honeycomb, while my Mum went for her standard camomile tea (I definitely didn’t inherit my sweet tooth from her). The brownie was gooey, dark and delicious, while the honeycomb provided crunch against the smooth cold ice cream. I’m not sure why the brownie had raisins in – the juicy plumpness of the fruit jarred slightly with the super sweet honeycomb crisps – but I’m not going to complain. Which is probably my overall sentiment for the meal. The room was buzzy, the service friendly (if a little haphazard), the company happy and the food well-cooked from good ingredients. We had a really lovely birthday evening and were home within 10 minutes of paying the bill. But the high aspirations of this restaurant come with a high price tag considering the location, and I think there are probably a lot more restaurants where you could get a truly incredible meal at for the same kind of price. Maybe it was our mid-week timing, maybe I’m getting spoilt by the amazing places popping up round London every day now, or maybe Manson hasn’t quite cracked it. If you’ve been, I’d love to know what you think. Remember the scene in About a Boy where Marcus accidentally kills a duck with his mum’s loaf of ‘healthy’ bread? 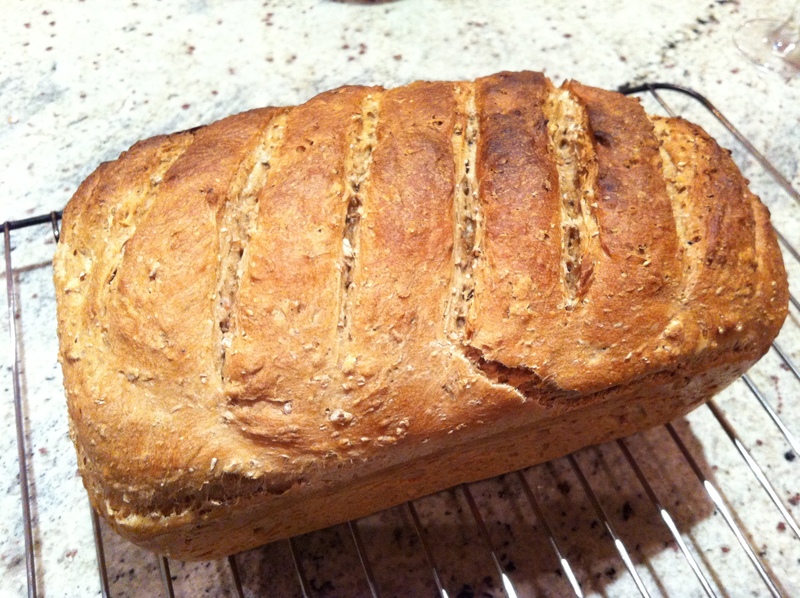 My very first foray into the world of breadmaking wasn’t a million miles off. After purchasing my brand new copy of The River Cottage Bread Handbook, covering the kitchen in a blanket of flour and lovingly kneading a sticky, unresponsive dough, I ended up with just over a kilo of flour, water and salt, condensed into a heavy loaf the size of a small brick. The kind of thing Tony Soprano would be more likely to tie to the ankle of a recently deceased victim than eat for breakfast. With a mother’s love for her first born child, I duly munched my way through the whole thing, telling anyone who listened that it was a million miles nicer than the air-filled rubbish you can buy in the supermarket. It wasn’t. But this didn’t deter me. 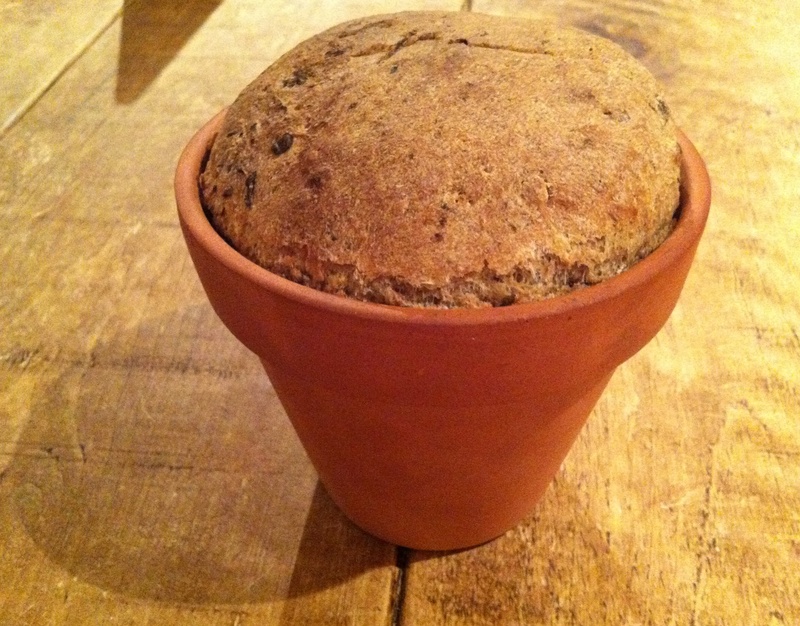 The River Cottage bread book is a wonderful thing. With page after page dedicated to mixing, folding, kneading and coating, it’s the ultimate bread-lover’s companion, and I knew that with a little perseverance this little loaf could produce a larger loaf she was proud of. And could actually eat. So here it is. My very first properly delicious loaf of bread. 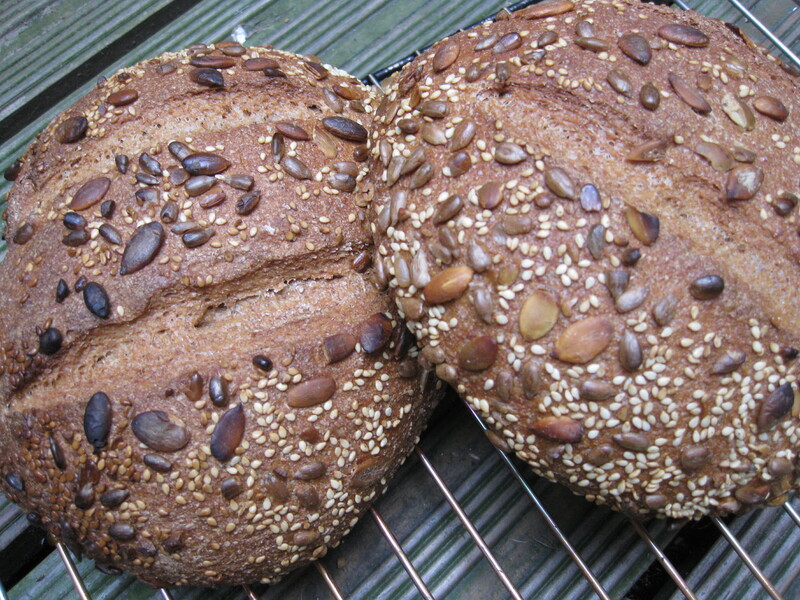 Crusty and textured on the outside, with a springy, slightly doughy crumb and a delicious nutty taste. Daniel Stevens, River Cottage bread guru, advises not to cut bread intended for slicing until it’s cooled. I defy anyone not to carve off a slab fresh from the oven, slather in butter, and eat whilst still warm. Yum! Mix a rough dough, combining flour, yeast, salt and water. Adjust the consistency if you need to, to make a soft, easily kneadable, sticky dough. Turn onto a work surface and clean your hands. Knead the dough until smooth and satiny. This should take about 10 minutes (see step by step instructions in The River Cafe Handbook for beautiful results!). Shape the dough into a round, flour the surface and put back into the wiped out mixing bowl. Wrap in a black plastic bag and leave in a warm place until doubled in size. This should take 45 mins – 1 1/2 hours, depending on how warm it is. 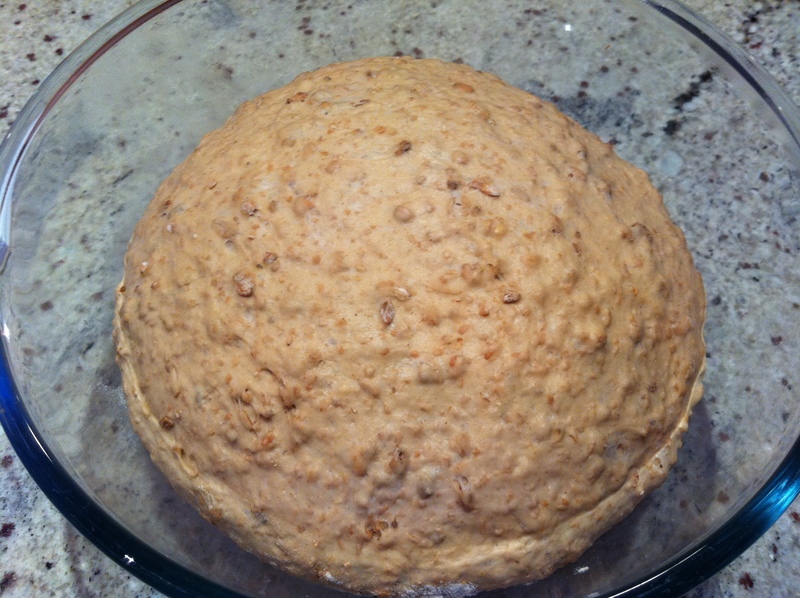 Deflate the dough by pressing all over with your fingertips, then form into a round. Leave to rise again. You can do this up to 4 times, but I found twice was perfect (and I’m not that patient!). Now prepare for baking. Pre-heat oven to 250 degrees C/Gas Mark 10 with a baking tray or stone inside. Shape your dough into loaves or rolls and rest, covered in a black plastic bag, for 10 minutes til doubled in size. Transfer loaves to hot baking tray/stone. 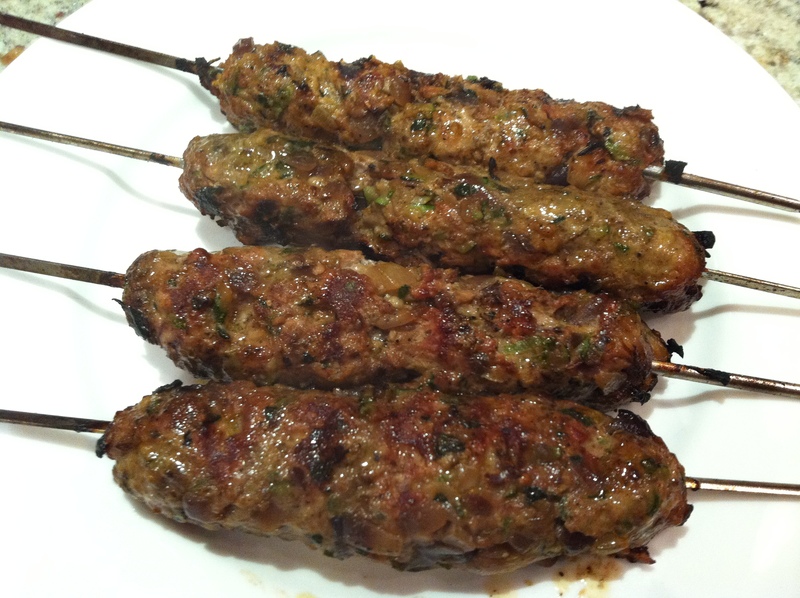 Slash tops if you wish and put in oven. Turn the heat down after 10 minutes: 200 degrees C/Gas Mark 6 if crust is burning, 180 degrees C/Gas Mark 4 if noticeably browning, and 170 degrees/Gas Mark 3 otherwise. Bake until loaf/rolls are browned and crusty and feel hollow if you tap them – about 10-20 mins for rolls, around 40 mins for loaves. Leave to cool on a wire rack (if you can bear to wait!). 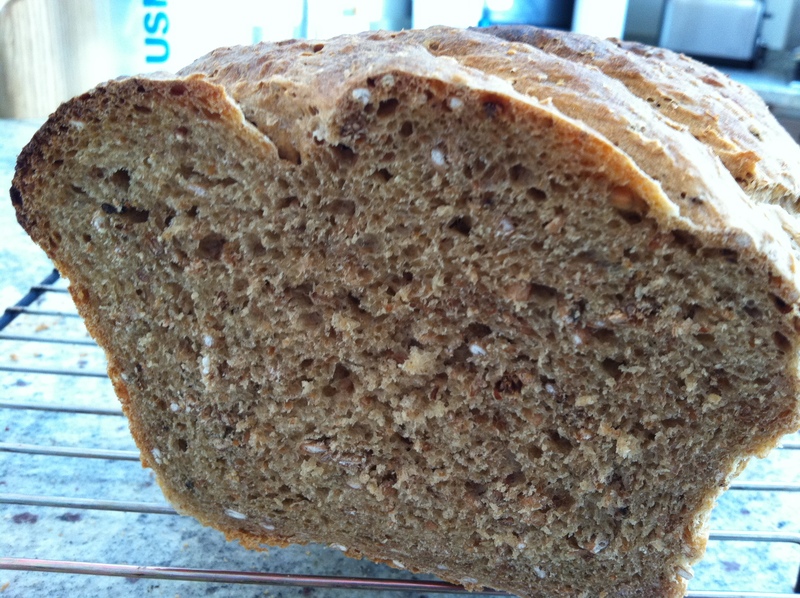 Nutty, malty loaf - delicious!